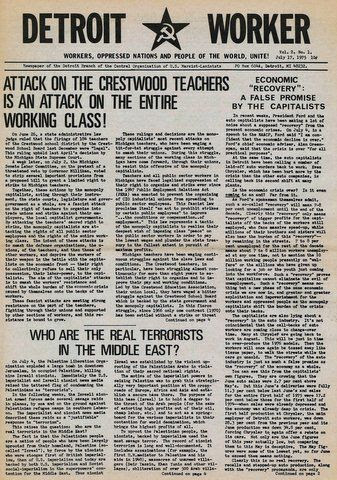 The Detroit Worker was published by the Detroit Branch of the Central Organization of U.S. Marxist-Leninists. Attack on the Crestwood Teachers Is an Attack on the Entire Working Class! Death to the Fascist Indira Government! Long Live the Armed Agrarian Revolution of the Indian People! 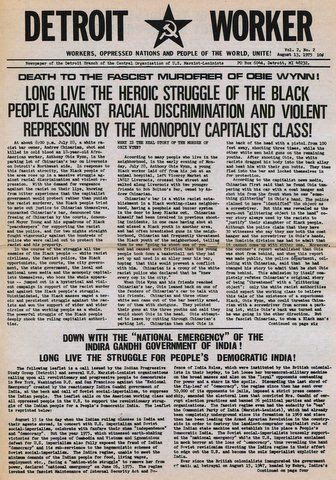 Long Live the Heroic Struggle of the Black People Against Racial Discrimination and Violent Repression by the Monopoly Capitalist Class! Down with the "National Emergency" of the Indira Gandhi Government of India! The Right of Teachers to Strike Will Not Be Suppressed! New Fascist Attacks on Crestwood Teachers Will Bring Renewed Resistance! 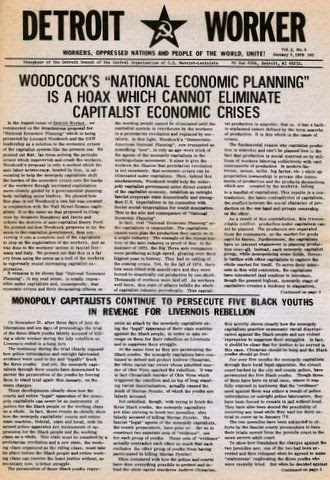 What Is This Nonsense Woodcock Is Spouting About "National Economic Planning" to Eliminate Economic Crises? Hail the 26th Anniversary of the Founding of the People's Republic of China! 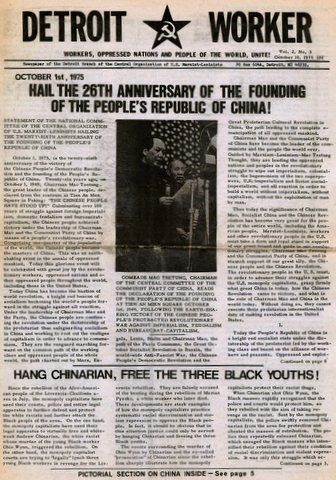 Hang Chinarian, Free the Three Black Youths!